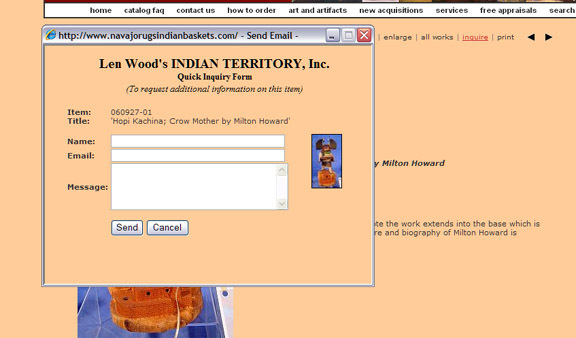 A text description of each link appears when you hover your cursor over any photo link. 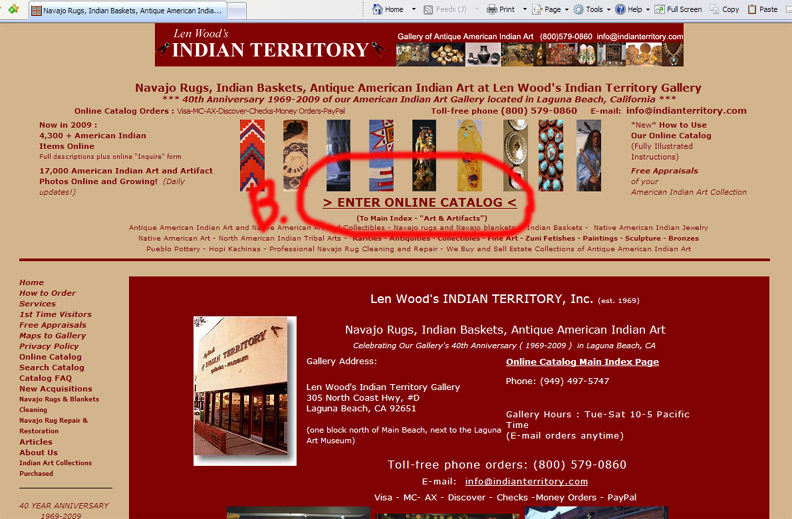 "B" - Direct Link to the MAIN INDEX page of our Online Catalog. 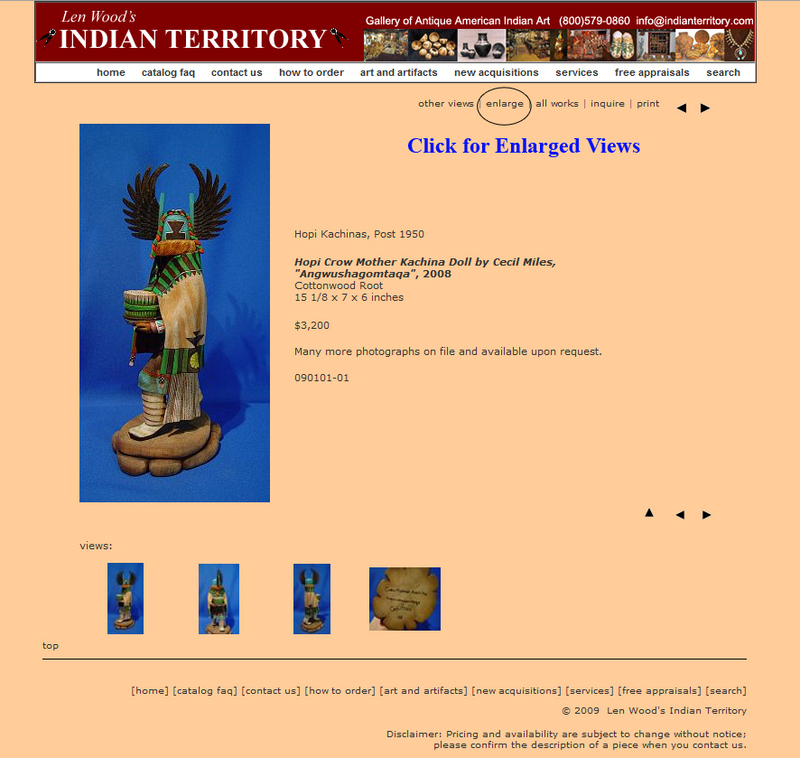 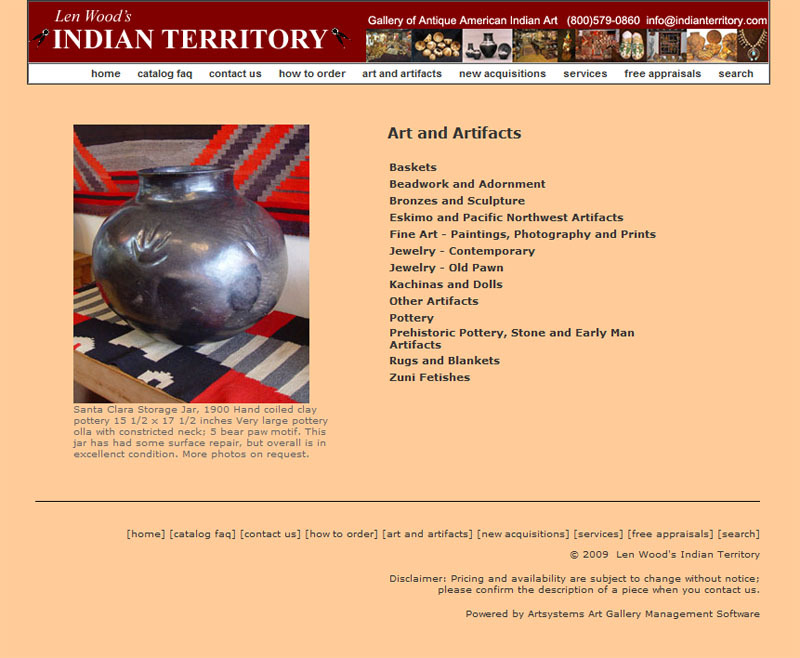 This Main Index Page is entitled "Art & Artifacts"
"D" Additional pages of thumbnail photos available in this category at six click-able thumbnail photos per page (Click any page number to "jump" to that page of thumbnail photos) . 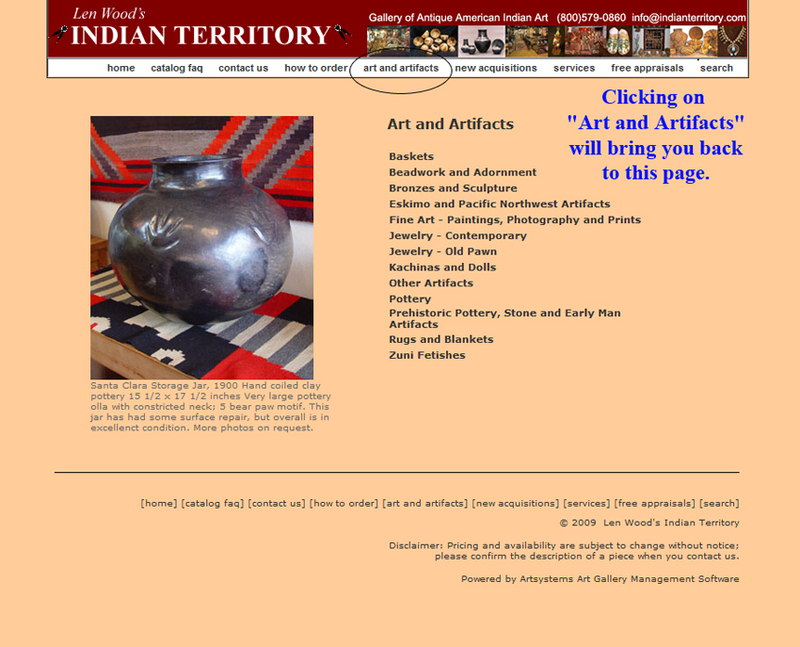 Click the "View All" link to see clickable thumbnail photos of ALL the items in the category! 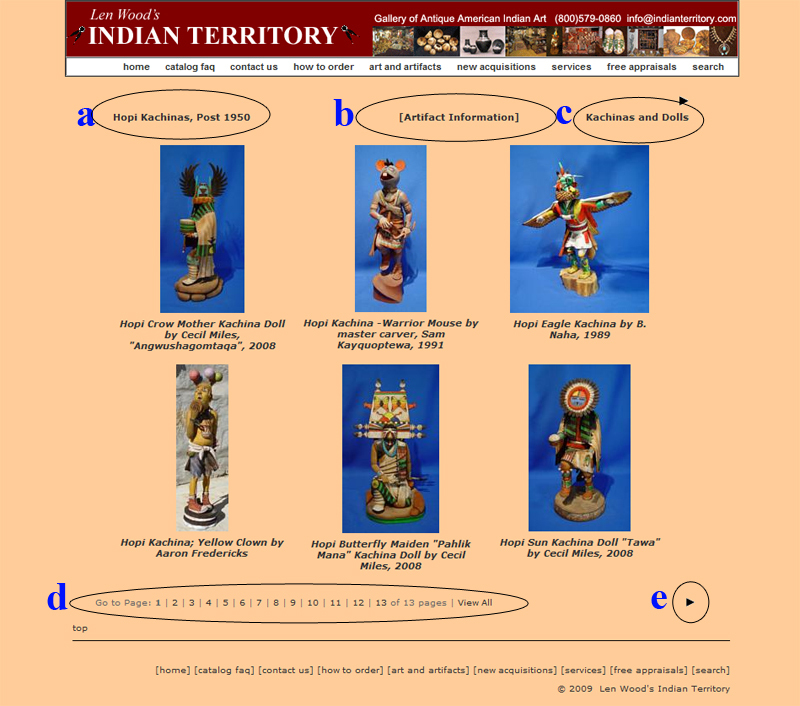 Photo Enlargement When you click any thumbnail photo it will open to a Photo Enlargement and to the right of the enlargement is an Artifact Description including an Inventory Number (for reference for questions and to order). FOUR ADDITIONAL Enlargeable Photo Views Below the enlarged photo are four additional thumbnail photos showing different views of the same artifact. Click on each additional thumbnail view photo to see an enlargement appear and take the place of the first enlargement. 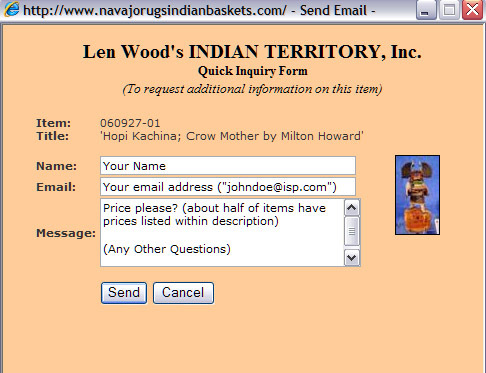 If you see that an item of interest that is not priced within the description (About half the items are priced and half are not priced online) and you would like that information--or any additional information, or if you have questions or would like to order, please use the "inquire" text link indicated by the red arrow. 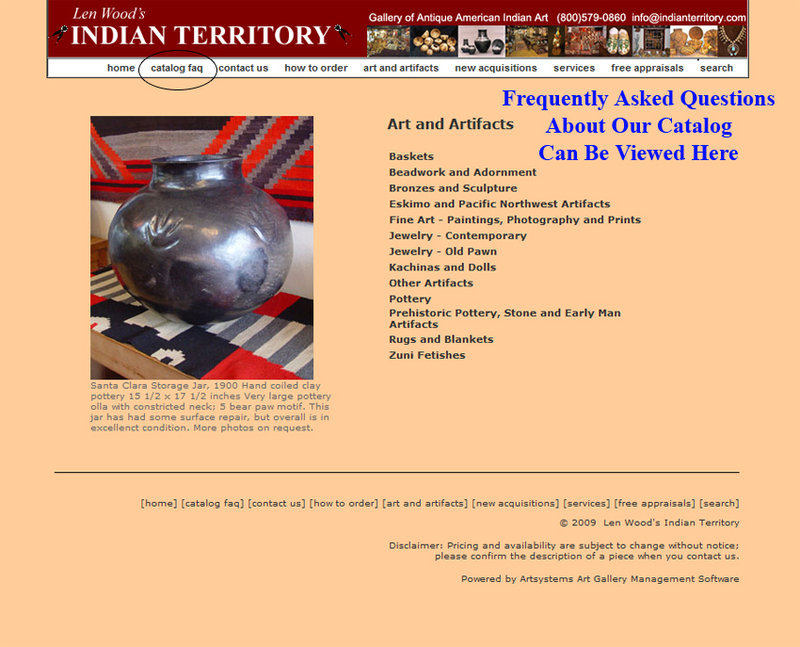 Simply "click" on the text with your cursor and the Inquiry Form --which includes the Inventory number of the item of interest as well as a thumbnail photo for easy reference pops up on top of the page you are viewing. Catalog FAQ (Frequently Asked Questions). Click this circled link to go to our FAQ page. 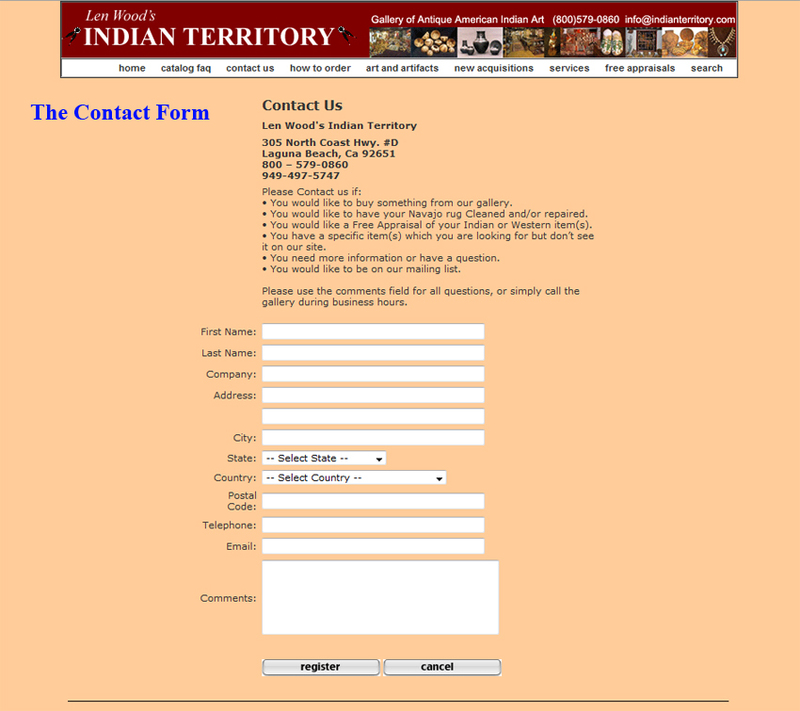 Contact Us Form - A simple online form for sending us a quick message. 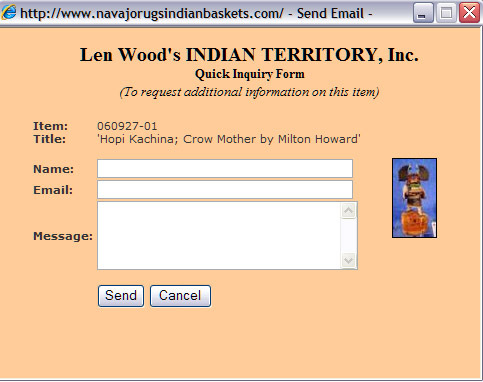 Be sure your email address and contact information is typed correctly or we will not be able to reach you with our reply!